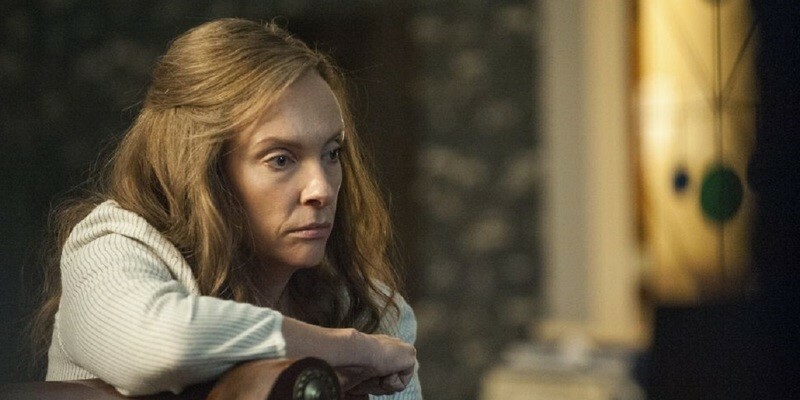 It was more difficult putting together my 2018 Top 10 list than it has been in years past because I recently relocated from New York, which screens everything, to Cincinnati, which gets things later—and movie distributors did not make certain titles available for screening even though they were theoretically in contention for awards from critics' groups that I belong to. That being said, the films on this list made such a powerful impression on me that it's hard to imagine anything dislodging them—particularly my #1, #2, #3 and #4 choices, all of which I saw three times or more. The top entry on the list is actually two films with a total running time of four hours. At four viewings, that means I gave the project 16 hours of my life. I consider it time well spent. Joseph Kahn's battle rap comedy-drama is an exuberant satire on race and class, but it's also a sports movie about a gifted but arrogant newcomer who has a knack for treachery and can't seem to resist the urge to use it. 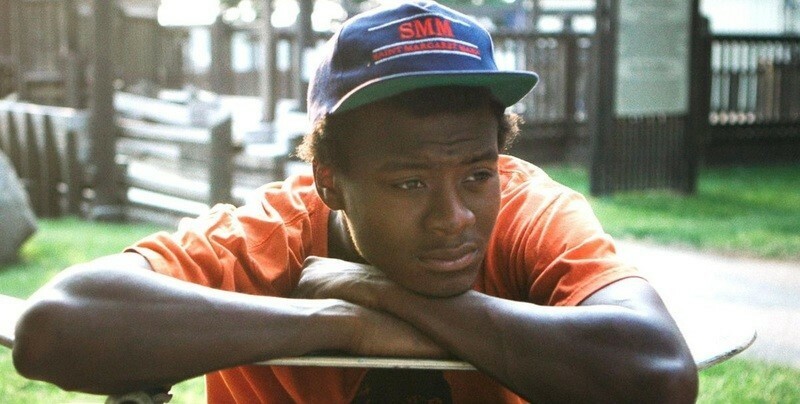 Far and away the best in a series of 2018 skateboarding movies, fiction and nonfiction, this documentary by first-time feature filmmaker Bing Liu is an autobiographical account of coming of age on wheels in a dying Rust Belt town, while trying not to let its demons destroy what's left of youthful optimism. The story of a father trying to find his missing daughter plays out entirely as a series of screens and screens-within screens, as he goes on the Internet and tries to solve the mystery. Aneesh Chaganty's thriller initially threatens to be a better idea for a movie than an actual movie, but the plot unfolds so deftly, always playing fair with the audience, that by the end you're exhilarated and moved. Star John Cho, who's on a web cam for most of the movie's running time, holds it all together, delivering a symposium in how to act in closeup. This directorial debut from Ari Aster is the first American horror film in years that had me practically crawling out of my own skin. The ludicrous and super-creepy final act feels like an assault on reason itself. 6. "The Ballad of Buster Scruggs"
A mesmerizing anthology from Joel and Ethan Coen that functions quite well as a statement on ambition, community, mortality and fate. As immense, idealistic, horrifying, lyrical and problematic as the Western genre itself. A posthumous gift from the great documentarian and historical witness Claude Lanzmann, this is a quartet of short features consisting of previously unseen footage shot for his landmark, nearly nine-hour "Shoah." But each story is shaped so perfectly, with a bare minimum of shots, that the films seem to be rediscovering the reason that nonfiction cinema was created. Movies about delusional couples struggling through life don't get thought of as cinematic when they're rooted as strongly in the real as this one. Writer/director Tamara Jenkins' film about fertility and disillusionment is laugh-out-loud funny but also very artful in the way it tells its story with image and sound, as well as performance and dialogue. This is a great American indie comedy in the tradition of "Moonstruck," "Walking and Talking," "Trees Lounge" and "Big Night," with one of the great final shots I've seen in years. 3. "Sorry to Bother You"
Boots Riley's shockingly funny (and sometimes just shocking) debut as writer/director is a gonzo satire on capitalism, racism, gender relations, and the way everyday life can just grind a person down. The jokes are like tiny Molotov cocktails tossed at the viewer's preconceived notions of what American cinema can do. I know some of my colleagues think it loses steam in the last third, but I think that's when it reaches its full, awesome potential. This movie took me back to my formative filmgoing years. when I saw "Repo Man," "Brazil" and "How to Get Ahead in Advertising" multiple times in the theater. My favorite science fiction movie since "Ex Machina," and not surprisingly the product of the same filmmaker, writer/director Alex Garland, this freaky exploration movie is about decay and rebirth, self-destruction and reinvention. It's so subtly structured that you don't realize until you watch it a second, third or fourth time how much information has been embedded in every scene, all of it important. The last ten minutes may be be the only attempt at a "2001: A Space Odyssey"-type of mind-blowing, conversation piece ending, post-Kubrick, that actually sticks the landing. 1. "A Bread Factory, Part 1: For the Sake of Gold" and "A Bread Factory, Part 2: Walk With Me A While"
This matched set of features from writer/director Patrick Wang ("In the Family") is a beautiful, all-encompassing experience as well as a story. 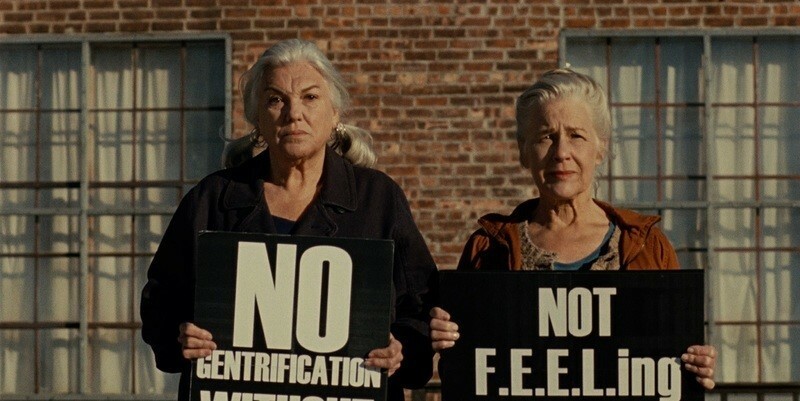 Set in and around a struggling nonprofit arts center in a dying upstate New York town, and featuring superb anchoring performances by Tyne Daly and Elisabeth Henry as the couple that owns the place, it's at once realistic and fanciful, satirical and goofy. And it's conformable enough with its elastic, "anything goes" mentality to make the art itself (including snippets of plays, poetry readings and musical performances) part of the fabric of the tale. It's a throwback to the last gasp of American indie film vitality, the 1990s, as well as the tradition of intimate yet staggeringly ambitious (and long) European art films like "Scenes from a Marriage," "The Best Intentions," "Out 1" and "Berlin Alexanderplatz." In an era where theatrical films are increasingly about huge things crashing into other huge things, the "Bread Factory" films are a reminder that there's more than one way to be cinematic.